The winter gloom had finally given way to beautiful sunshine and blue skies for our second die cast, model soldiers and toys auction of this year. Our buyers were spoilt for choice with 380 lots to choose from. We started with toys section and this unusual 1:100 scale moulded resin model of a Concorde aeroplane by Space Models which realised £188. Always a popular manufacturer, there were 6 lots of Trophy Miniatures in the model soldiers section which achieved an impressive combined total of £2,395. Moving on to the die cast section, there were a range of modern BBR Models racing cars offer. 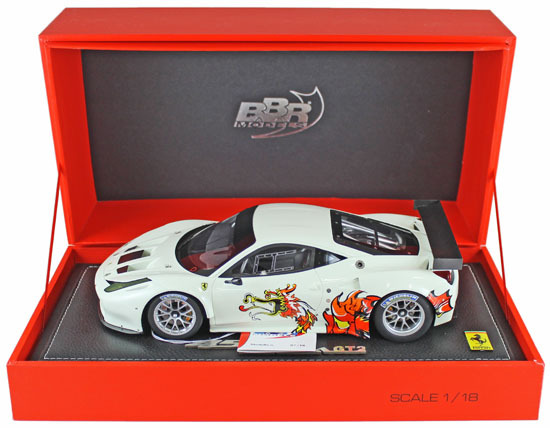 The highlight was this Ferrari 458 Italia GT2 Race Version 2011 no. P1835WDRA. The model was a limited edition, no. 7 of 10, and it it realised £306. 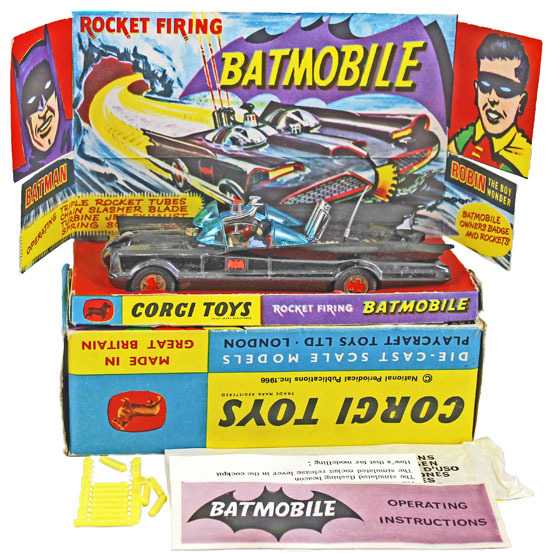 In the Corgi section this Batmobile no. 267 gloss black with pulsating exhaust and bat hubs sold for £177. This James Bond’s Aston Martin no. 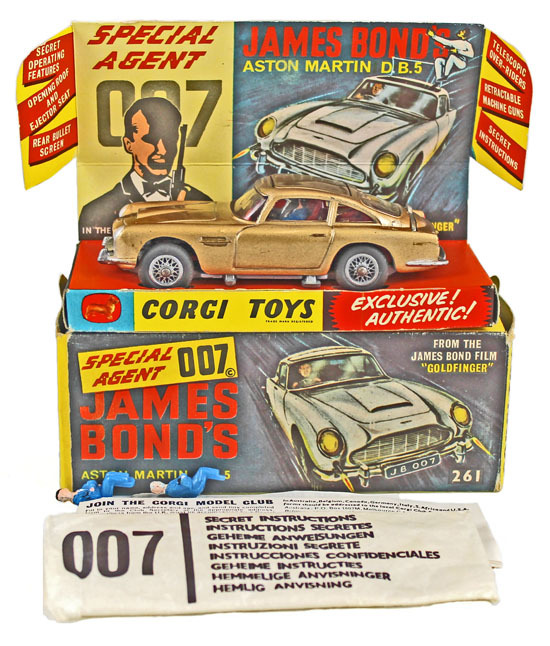 261, with pictorial stand, 2 spare bandit figures, top secret instructions and model club leaflet, realised £165. 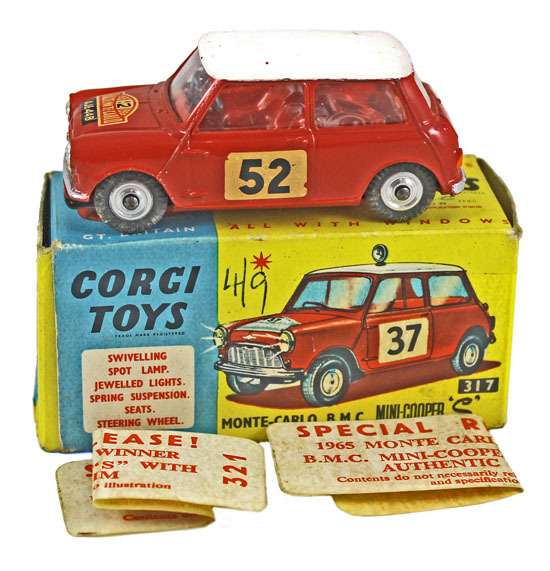 And this Mini Cooper “S” Monte Carlo 1965 without spotlight no. 321, in good plus condition, no. 317, in good plus box with “1965 Monte Carlo Winner” stickers, stickers detached achieved £212. 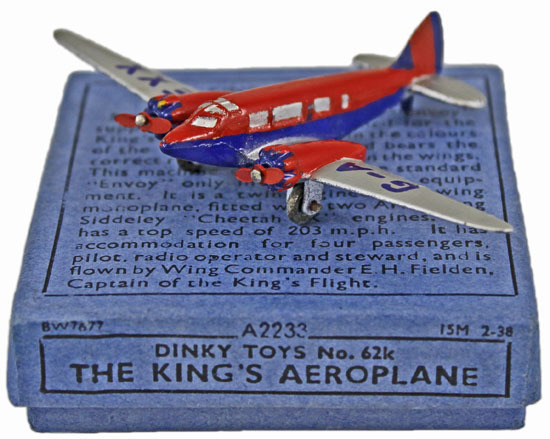 In the Dinky section this The King’s Aeroplane no.62k realised £212. 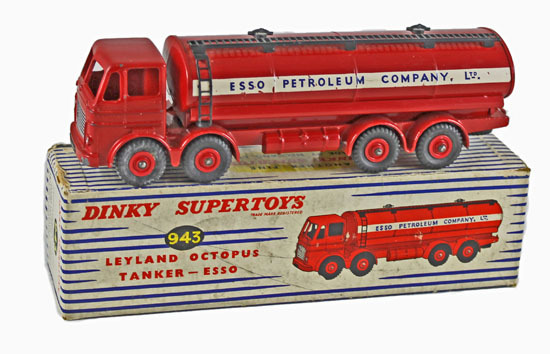 This Leyland “ESSO” tanker no. 943 achieved £165. 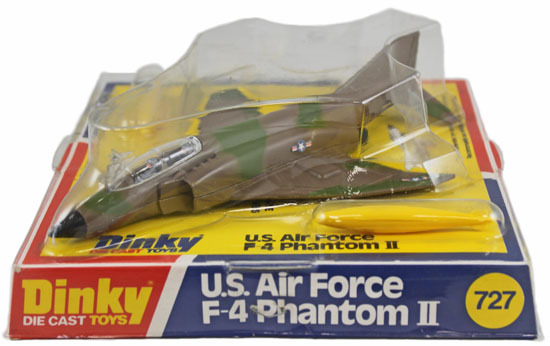 And this U.S. Air Force F-4 Phantom II no.727 sold for £236. These unusual hand-built 1:8 scale Jaguar C and D Type model cars by Javan Smith realised a combined total of £908, a fair price for such beautifully crafted models. 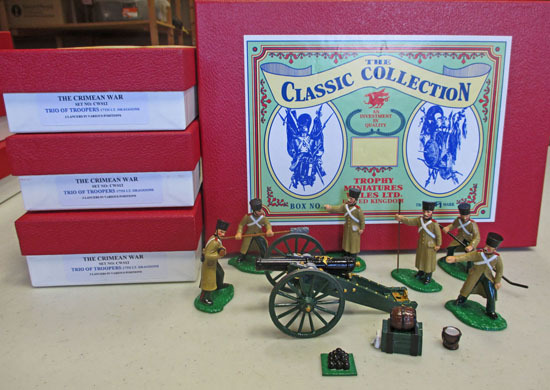 Our next die cast, model soldiers and toys auction will be held on Wednesday 18th May 2016. The full catalogue for this sale will be on our website in early May. Keep an eye on our Twitter and Facebook pages which will include updates and our latest auction news.